About 146 thousand tons of imported flour from Serbia and Kosovo with low protein of 9.5% was used for bread production in Albania. Meanwhile, the Albanian bread standard should be at least 11% protein. These alarming figures are highlighted by Murat Kloboçishta, a member of the Cereal Processing Association in Albania. According to him, in 2017, a total of 149 thousand tons of flour intended for the biscuit industry was imported, while the needs for the latter are about 3,000 tons per year. "If we look at statistics from the General Directorate of Customs, are 149 thousand tons of flour imported from Serbia and Kosovo. 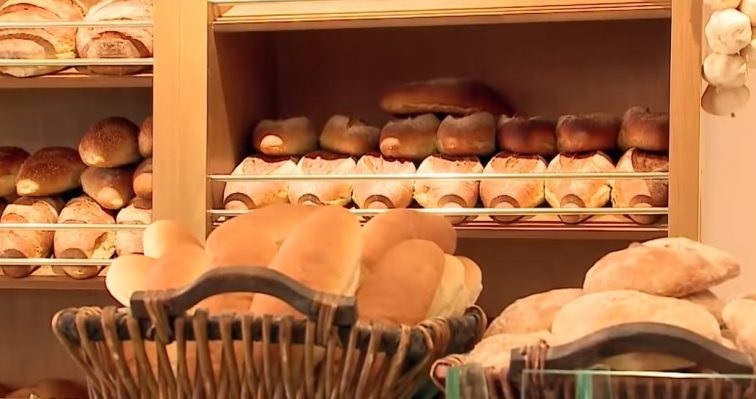 If we talk about biscuit, Albania does not need more than 2-3 thousand tons of flour, which means that all the other amount has gone to the bakery. That flour with 9.5% protein is not suitable. Should be determined and followed where this flour will go..."says Kloboçishta. If a person consumes bread that contains less protein than 11%, there will be few problems in his body. Prof. Enver Roshi, former director of IPH and a lecturer at the Faculty of Public Health, emphasizes that eating low-protein bread causes the weakening of immune system. Consequently, the body is more likely to be affected by infections, especially those of the respiratory tract. The doctor suggests that people who consume less protein may also exhibit anemic problems. "So the main barriers are resistance reduction and the appearance of respiratory infections or other protein-related infections. The lack of protein intake is a phenomenon of poorer countries where the base is only the bread. The role of proteins in the human body is vital. Without the protein there is no life," says the doctor.